Prayer IS the Work of the Ministry: I friend of mine likes to say, "I think I remember forgetting this before!" And that's precisely how I feel about this lesson that I've needed to learn over and over again. At every turn, each speaker at CCMI hammered the facet that we're doing Spiritual work, and real fruit comes as a result of the work of the Holy Spirit. In light of that, prayer isn't an optional discipline that we have the luxury of inserting if we have time. Prayer is an expression of our real dependence upon God, and it's the real work of the ministry. We're NOT too old to Learn Japanese: OK, so that's a bit of an overstatement, but next to Japan's high cost of living, we've been most worried about our ability to learn the language. CCMI didn't leave us with the illusion that language study was going to be easy - Japanese is going to be a difficult language to master, and it'll require a lot of hard work. However, we left CCMI with some new tools for language learning that'll serve us well as we begin to study Japanese. We also realize that learning a language while immersed in a foreign country is much different from our past attempts to learn languages in classroom setting in the U.S. (think high school French or Spanish). The Experience helped us as a Family: I could share a lot more about the specifics of our classroom time since we spent several hours each day in that setting. But the most beneficial part of our experience at CCMI wasn't tied to the classroom or even the cross-cultural ministry experiences the staff put together for us. The most beneficial part of CCMI - for our family - was the fact that we were moved out of our own routines and spent a month living together in vastly different surroundings than we've been accustomed to. Granted, Nagoya will be much different than New York. However, living in an apartment in Manhattan and riding the subway to Queens every day is a lot different from day-to-day life in Asheboro, NC. We struggled with some of those differences and embraced some of them readily - but we did all of it as a family. I was so proud of how quickly our boys adjusted to their new surroundings. Given another month, I think we'd have felt comfortable letting Joshua ride the subways alone. Josiah also became very adept at navigating the city and would be happy to serve as your tour guide if you ever want to take a trip to NY! On our first subway rides, our boys wouldn't take a seat beside of a stranger, but clung to us for security. By the end of the month, they were pros, and it was fun to watch them squeeze into seats between total strangers - and even talk to them while riding to our next stop. CCMI was a rich month for us as a family: Full of great memories, helpful training, and rich conversations with our boys. Gina and I feel like we're all coming home better prepared and much more "together" in our calling to church planting in Nagoya. 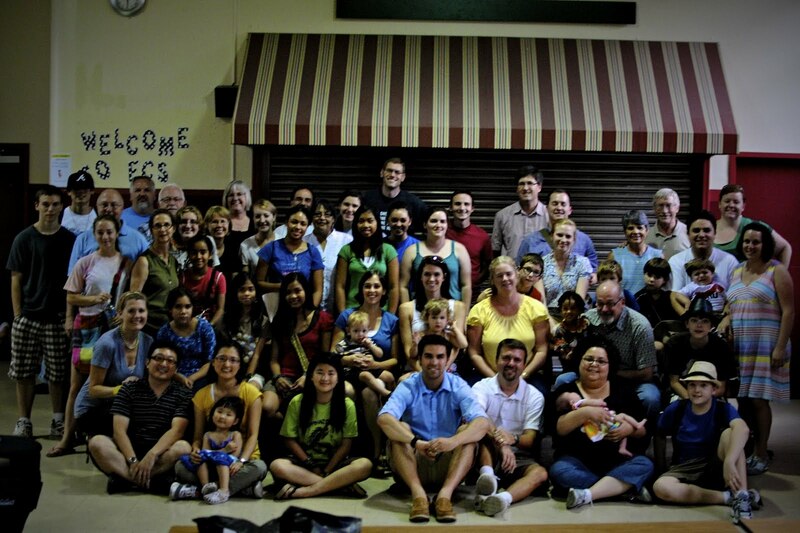 We're so happy to be working with a missions agency that is committed to our whole family's preparation for the field.